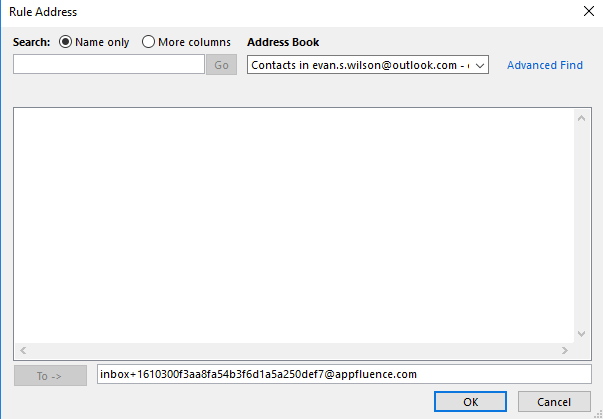 Home / Mac, Mac, Windows, & Web, Web, Windows / How Do I Set Up Automatic Email Forwarding with Outlook 2016? 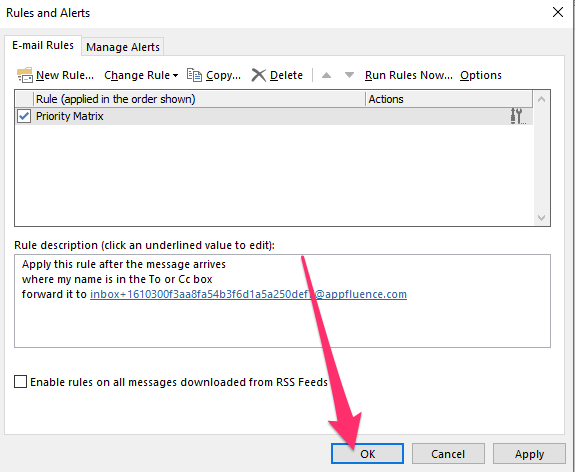 How Do I Set Up Automatic Email Forwarding with Outlook 2016? 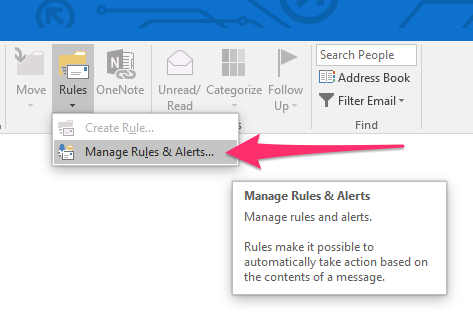 Note: If you create a rule in Outlook Web App, the rule will also transfer to the desktop version. It may be quicker to do that, but this is the most thorough, customizable method. You have a whole Inbox just waiting to be explored. One of the best uses of your Inbox is as a holding tank for important emails. 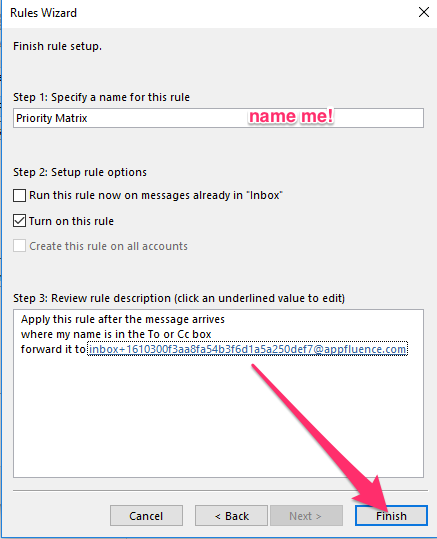 By creating a rule, you can selectively, automatically forward emails from Outlook into Priority Matrix. 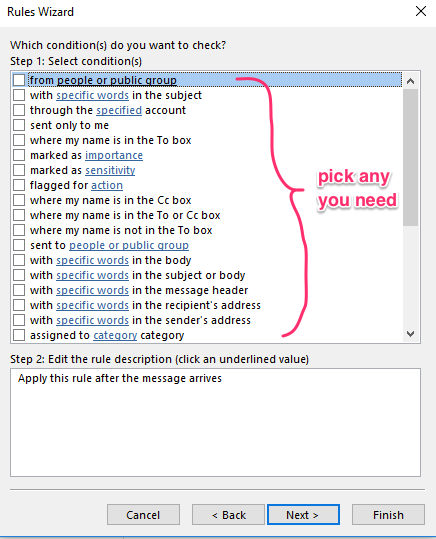 You can either apply the “send to Inbox” rule to incoming or outgoing mail. Select the one you’d like and click Next >. Now pick your conditions! You can choose as many or as few as you’d like (but with more conditions, fewer emails will be directed into your Inbox). Once you’re satisfied, click Next >. This is the trickiest step. 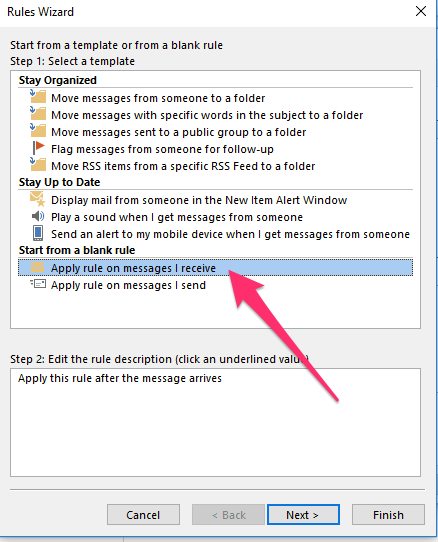 First, decide what you want to happen after the message is caught by the rule. You may want to check off “delete it” or “move it to the (specified) folder,” but you must also select “forward it to (people or public group).” Don’t click Next!!!! 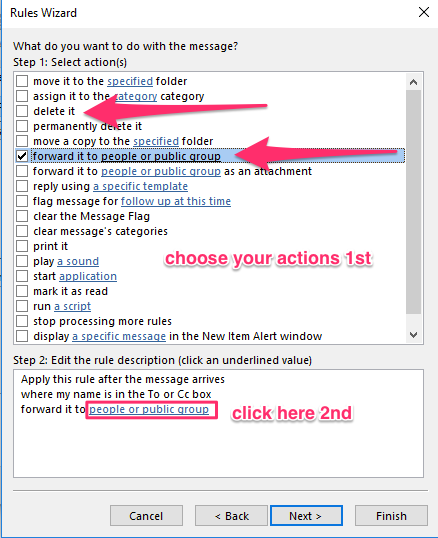 Click on the “(people or public group)” hyperlink in the bottom box. If you can’t see this box pop up, go back to step 6. 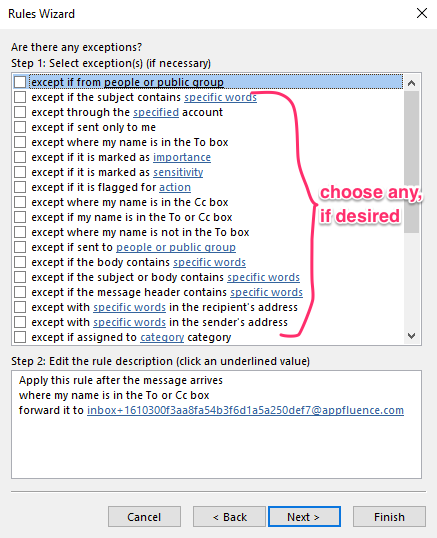 Once you do, paste your copied secret Inbox address in the To -> box. It will be something long, ending in @appfluence.com. Now click OK and the Next > button from the last step. And now you’re at the final stage. Are there any emails you want excepted from this rule? If so, select them here. Once done, or if there are no exceptions, click Next > again. You’re almost there! Name your rule, decide if you want to run the rule on your past messages or just the ones from now on, and hit Finish. It’s been a long list, but this is the very last step. 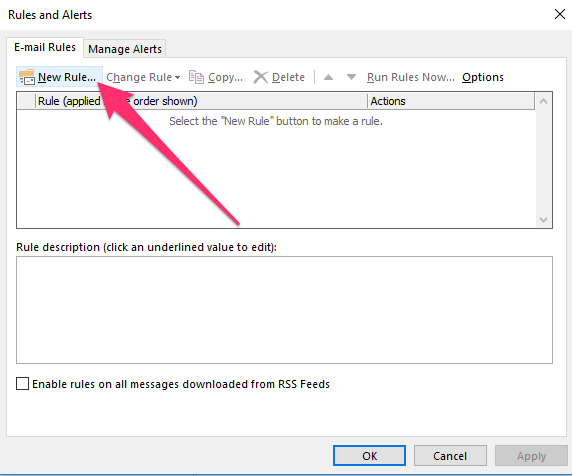 Confirm that you want the rule set up as you just did and then click OK.